Elder Mason was converted in November, 1878, and baptized by his brother, I.S. 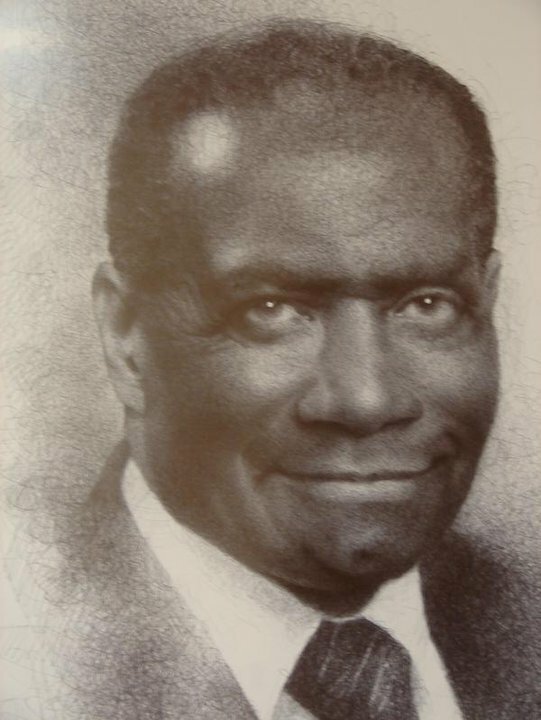 Nelson, a Baptist Preacher, who was pastoring the Mount Olive Missionary Baptist Church near Plumerville, Arkansas. 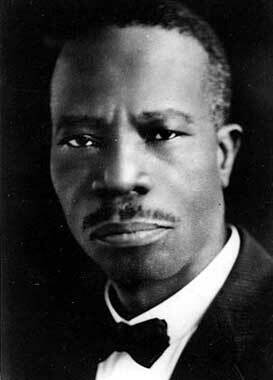 In 1893, he began his Christian Ministry with the accepting of ministerial licenses from the Mt. Gale Missionary Baptist Church, in Preston, Arkansas. He then experienced sanctification through the word of God and preached his first sermon in “Holiness” from II Timothy 2:1-3: “Thou therefore endure hardness as a good soldier of Jesus Christ.” On November 1, 1893, Elder Mason matriculated into the Arkansas Baptist College, but withdrew after three months because of his dissatisfaction with the methods of teaching and the presentation of the Bible message. He then returned to the streets and to every pulpit that was opened to him declaring Christ by the word, example, and precept. In 1895, Bishop Mason met Elder C.P. Jones of Jackson, Mississippi; Elder J.E. Jeter, of Little Rock, Arkansas; and Elder W.S. 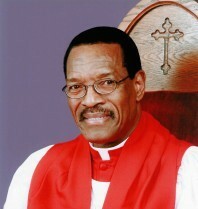 Pleasant of Hazelhurst, Mississippi, who subsequently became Bishop Mason’s closest companions in the ministry. Jointly, these militant gospel preachers conducted a revival in 1896, in Jackson, Mississippi, which had far-reaching affects on the city. The theophanic manifestations of the revival, which included the large numbers that were converted, sanctified, and healed by the power of faith and the dogmatic teachings of Bishop Mason on the doctrine of sanctification caused church doors within the Baptist association to become closed to him and to all those that believed and supported his teachings. So in 1897, when these pioneering, persistent preachers returned to Jackson, Mississippi, Bishop Mason was forced to deliver his first message from the south entrance of the courthouse. A Mr. John Lee, who desired to see Bishop Mason’s ministry continue, provided the living room of his home the next night. Because of the overwhelming number that attended, a Mr. Watson, the owner of an abandoned warehouse in Lexington, Mississippi, gave his consent to transfer the revival meeting to the gin house on the bank of a little creek. This gin house subsequently became the meeting house for the Church of God in Christ. This miracle deliverance revival was such a success it stirred up the “Devil”, causing someone to shoot five pistol shots and two double barreled shotgun blasts into the midst of the saints while they were shouting and praying. Some persons were wounded but miraculously, none of the shots were fatal. At the close of the meeting, it was necessary to organize the people for the purpose of establishing a church with a stronger appeal and greater encouragement for all Christians and believers, a church which would emphasize the doctrine of entire sanctification through the outpouring of the Holy Spirit. Elder Mason became convinced that it was essential for him to have the outpouring of the Holy ghost. The following are excerpts from Elder Mason’s personal testimony regarding his receiving the Holy Ghost. “The first day in the meeting I sat to myself, away from those that went with me. I began to thank God in my heart for all things, for when I heard some speak in tongues, I knew it was right though I did not understand it. Nevertheless, it was sweet to me. I also thank God for Elder Seymour who came and preached a wonderful sermon. His words were sweet and powerful and it seems that I hear them now while writing. When he closed his sermon, he said ‘All of those that want to be sanctified or baptized with the Holy Ghost, go to the upper room; and all those that want to be justified, come to the altar.’ I said that is the place for me, for it may be that I am not converted and if not, God knows it and can convert me…” “Glory!” “The second night of prayer I saw a vision. I saw myself standing alone and had a dry roll of paper in my mouth trying to swallow it. Looking up towards the heavens, there appeared a man at my side. “The enemy said to me, there may be something wrong with you. Then a voice spoke to me saying, if there is anything wrong with you, Christ will find it and take it away and marry you…Someone said, ‘Let us sing.’ I arose and the first song that came to me was ‘He brought me out of the Miry Clay.’ The Spirit came upon the saints and upon me…Then I gave up for the Lord to have His way within me. So there came a wave of Glory into me and all of my being was filled with the Glory of the Lord. So when He had gotten me straight on my feet, there came a light which enveloped my entire being above the brightness of the sun.When I opened my mouth to say Glory, a flame touched my tongue which ran down me. My language changed and no word could I speak in my own tongue. Oh! I was filled with the Glory of the Lord. My soul was then satisfied.” This new Pentecostal experience which Elder Mason found for himself, for he began to proclaim to others upon his return home to Memphis, Tennessee as a New Testament doctrine. A division, subsequently, became evident within the ranks of Elder Mason’s contemporaries when Elder J. A. Jeter, the General Overseer, Elder C. P. Jones, and others regarded the new Holy Ghost experience of speaking in tongues as a delusion. Being unable to resolve their difference in the New Testament doctrine. The General Assembly terminated by withdrawing the “right hand” of fellowship from C. H. Mason. Elder Mason then called a conference in Memphis, Tennessee of all ministers who believed in receiving the baptism of the Holy Ghost according to the scriptures in Acts 2:1-4. Those who responded to Elder Mason’s urgent call were E. R. Driver, J.Bowe, R.R. Booker, R. E. Hart, W. Welsh, A. A. Blackwell, E. M. Page, R.H. I. Clark, D. J. Young, James Brewer, Daniel Spearman and J. H. Boone. These men of God organized the first Pentecostal General Assembly of the “Church of God in Christ.” Overseer C. H. Mason was then chosen unanimously as the General Overseer and Chief Apostle of our denomination. He was given complete authority to establish doctrine, organize auxiliaries and appoint overseers. Dr. Hart was appointed Overseer of Tennessee; Elder J.A. 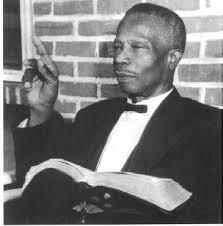 Lewis was appointed Overseer of Tennessee; Elder J. Bowe the Overseer of Arkansas; later J. 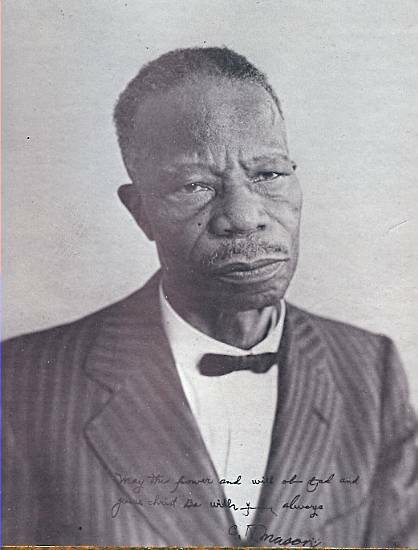 A. Lewis was appointed Overseer of Mississippi. As the church grew, Elder E. M. Page was appointed Overseer of Texas; Elder R.R. Booker, Overseer of Missouri; Elder E. R. Driver, Overseer of California and Elder W. B. Holt as the National Field Secretary. As the Chief Apostle, he immediately dedicated twenty days, November 25th through December 14th annually as a meeting time for all of his followers to fellowship with each other and to transact all ecclesiastical and secular affairs pertinent to the growth of the National Organization. This segment of the year was chosen because the majority of the communicants of the church lived in farming districts of Mississippi, Tennessee and Arkansas. By this time of the year, they had sufficient provisions and financial resources from the harvesting of their crops, to enable them to attend and support a national meeting. The first National meetings were held at 392 South Wellington Street, Memphis, Tennessee. The first National Tabernacle was built and completed at 958 South Fifth Street, in 1925. This Tabernacle, however, was destroyed by fire twelve years later in 1936. In the interim until 1945, our National Convocation was held within the Church pastored by Bishop Mason at 672 South Lauderdale. In1945, Bishop Mason was able to visualize the culmination of his dream. 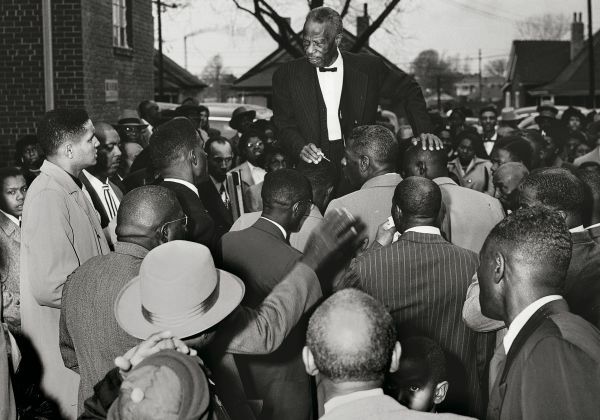 He dedicated the Mason Temple at Memphis, Tennessee which was built for less than $400,000 during World War II. This auditorium became the largest convention hall owned by any colored religious group in America. 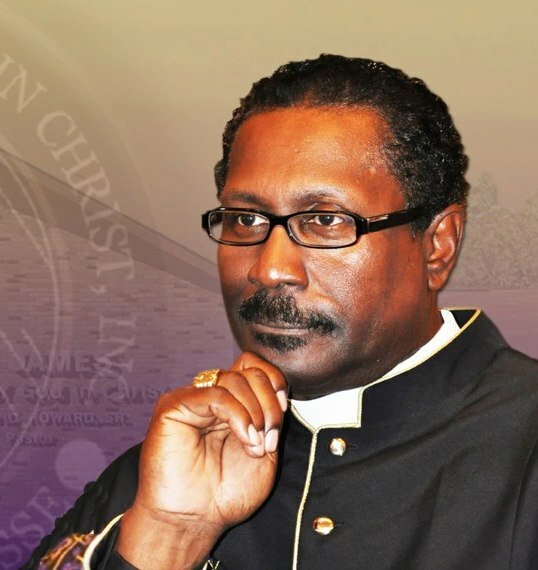 Under Bishop Mason’s spiritual and apostolic direction our church has grown from ten congregations in 1907, to the largest Pentecostal group in America. The membership of the Church of God in Christ grew from three million in 1973 to an estimated 5.2 million in 1997. Churches under the parent body in Memphis, Tennessee, are now established throughout the United States, on every continent, and in many of the islands of the sea.